We were so lucky to score a meet and greet with Dr Xand and Dr Chris, from Operation ouch, after their show yesterday. They were so interested in our Type 1 Diabetes story! They checked out Isaac's pump and asked him a few different questions regarding his Type 1 and diagnosis. Isaac handed them a signed book, they went through and commented on almost every page. What fabulous people they are and such a fabulous show for kids (and adults!). Such a highlight!! We met with Justin Morris, a former professional cyclist with Team Novo Nordisk - The worlds' first professional all diabetes cycling team. Isaac signed the book for him. We had the privilege of meeting fellow Type 1 Warrior, Rob Palmer. It was with much pleasure and a privilege to be able to present Bronwyn Halfpenny MP, State Member for Thomastown, my Peeking into Type 1 Diabetes - Book today. Bronwyn, Health Ambassador for Diabetes has been working with the Education Department to achieve a Ministerial Directive to achieve a high standard of care in schools for children with Type 1 Diabetes, as well as working with a Diabetes Advisory Group towards better life outcomes for all Australians with Type 1. Isaac and I had the privilege of meeting Sir Ian Botham a couple of months ago at a filming of the JDRF One Walk ad. I was also privileged to meet him, his wife and daughter (who is Type 1 herself), again today at Melbourne’s JDRF One Walk. 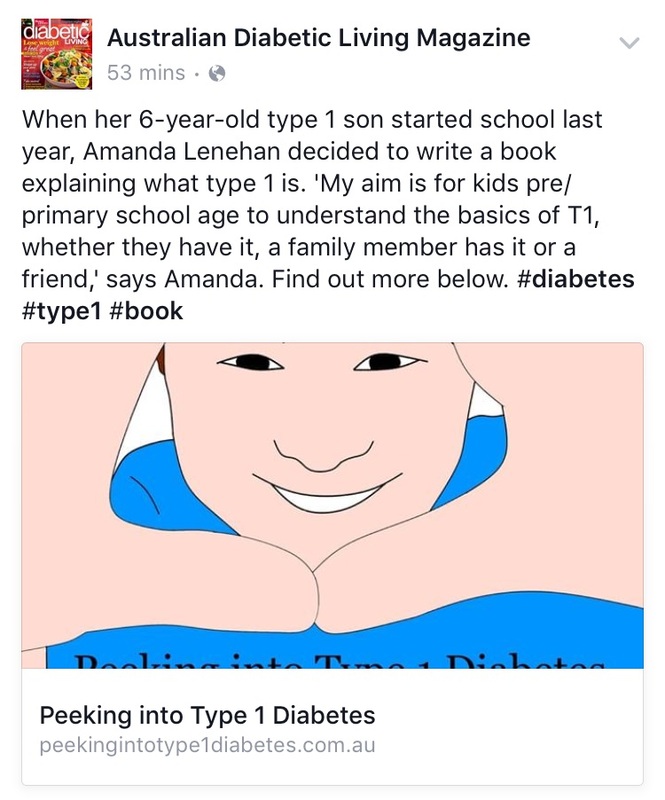 I have it on good authority (and feel very humbled) that Ian Botham’s grandkids read Peeking into Type 1 Diabetes quite often. I love spreading the word and helping families/friends of Type 1 to understand this horrid illness. "Many thanks for my book and for your wonderful example of the most caring parenting. Have read your book with my 7 year old". Isaac and I were invited to the announcement of the CGM subsidy for under 21's with Type 1 Diabetes. Isaac passed on his book as a 'Thank You', to Greg Hunt MP. Thank you to the Endia Community for sharing my book. Endia study is looking into what contributes to the development of Type 1 Diabetes in early childhood.